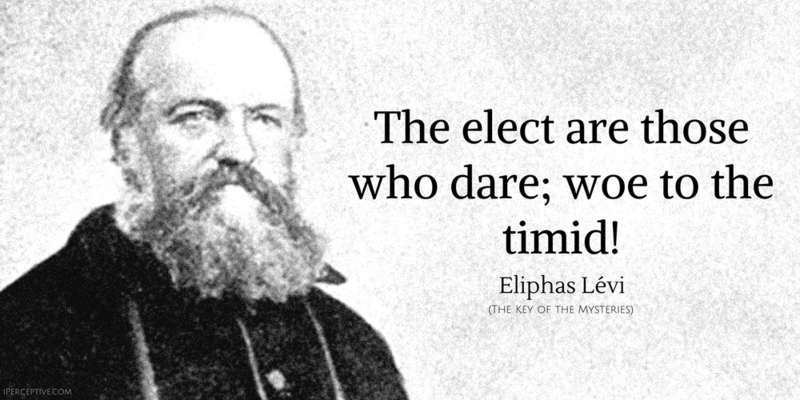 The elect are those who dare; woe to the timid! Before saying "God wills," man has willed. In truth religion exists apart from all dogmatic discussion. The need of believing is closely linked with the need of loving; for that reason our souls need communion in the same hopes and in the same love. Isolated beliefs are only doubts: it is the bond of mutual confidence which, by creating faith, composes religion. GOD can only be defined by faith; science can neither deny nor affirm that He exists. For initiates of the Qabalah, God is the absolute unity which creates and animates numbers. 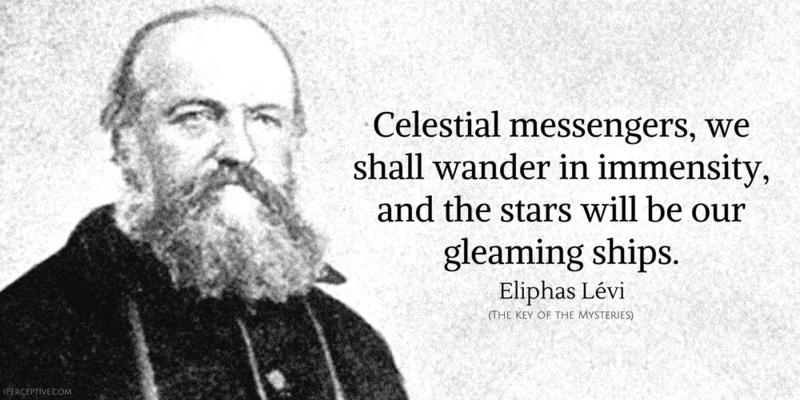 Celestial messengers, we shall wander in immensity, and the stars will be our gleaming ships. Yes, Proudhon, God is an hypothesis, but an hypothesis so necessary, that without it, all theorems become absurd or doubtful. God is the absolute object of human faith. In the infinite, He is the supreme and creative intelligence of order. In the world, He is the spirit of charity. Laughter is forbearance; laughter is philosophy. The heavens clear when they laugh, and the great secret of divine omnipotence resides in an eternal smile! He looks on the wicked as invalids whom one must pity and cure; the world, with its errors and vices, is to him God's hospital, and he wishes to serve in it. 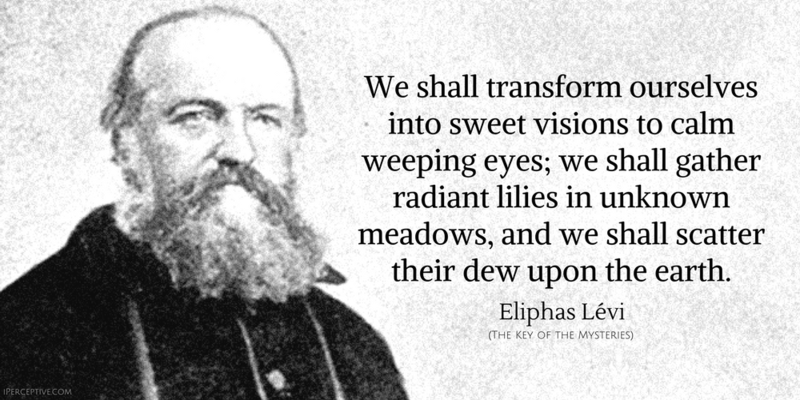 We shall transform ourselves into sweet visions to calm weeping eyes; we shall gather radiant lilies in unknown meadows, and we shall scatter their dew upon the earth. God is necessarily the most unknown of all beings because He is only defined by negative experience; He is all that we are not, He is the infinite opposed to the finite by hypothesis. If science were to affirm what it did not know, it would destroy itself. Science will then never be able to perform the work of faith, any more than faith can decide in a matter of science. We have said that there is no religion without mysteries; let us add that there are no mysteries without symbols. The symbol, being the formula or the expression of the mystery, only expresses its unknown depth by paradoxical images borrowed from the known. The symbolic form, having for its object to characterize what is above scientific reason, should necessarily find itself without that reason: hence the celebrated and perfectly just remark of a Father of the Church: I believe because it is absurd. Credo quia absurdum. 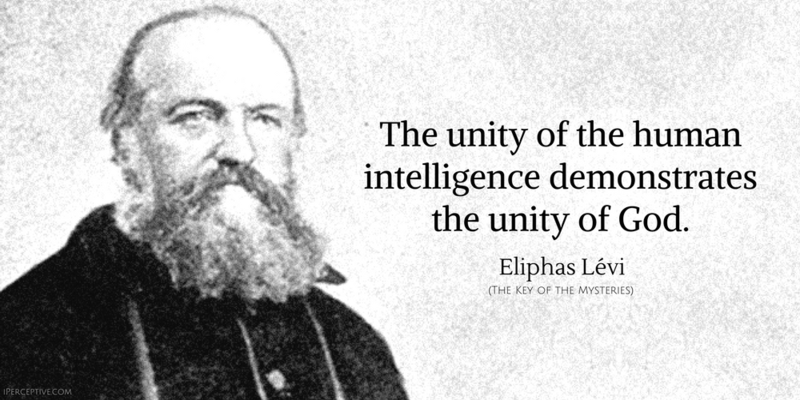 The unity of the human intelligence demonstrates the unity of God. Progress is a possibility for the animal: it can be broken in, tamed and trained; but it is not a possibility for the fool, because the fool thinks he has nothing to learn. It is his place to dictate to others and put them right, and so it is impossible to reason with him. He will laugh you to scorn in saying that what he does not understand is not a meaningful proposition. 'Why don't I understand it, then? ', he asks you, with marvellous impudence. To tell him it is because he is a fool would only be taken as an insult, so there is nothing you can say in reply. Everybody else sees it quite clearly, but he will never realize it. Religion holds a greater place among the realities of life than those who do without religion --- or pretend to do without it --- affect to believe. All ideas that raise man above the animal --- moral love, devotion, honour --- are sentiments essentially religious. The cult of the fatherland and of the family, fidelity to an oath and to memory, are things which humanity will never abjure without degrading itself utterly, and which could never exist without the belief in something greater than mortal life, with all its vicissitudes, its ignorance and its misery. We want to be clearly understood on this point. We are not trying to say that signs and rites are a big piece of humbug. They would be such if people did not need them; but we have to recognize that everyone has not the same degree of intelligence. Children have always had fairy stories told to them, and these stories will continue to be told as long as there are nurses and mothers. Children have faith and this is what saves them. Imagine a child of seven saying: 'I do not want to accept anything I cannot understand.' What could one teach such a monster? Accept what your teachers tell you to begin with, my fine fellow, then study it and, if you are not an idiot, you will understand it by-and-by. 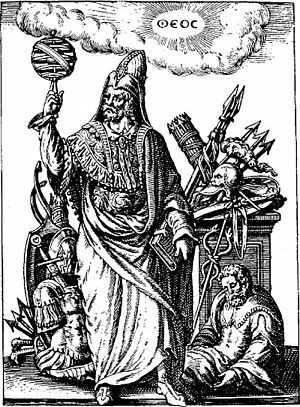 Eliphas Lévi, real name Alphonse Louis Constant, was a French ceremonial magician, mystic and author. 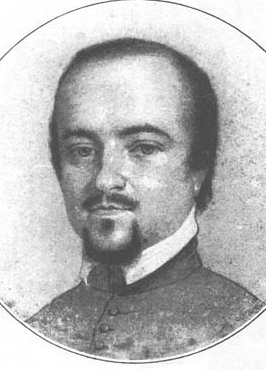 He is best known for his writings on the occult, where he covered topics such as magic and the esoteric.